Long time, no blog - sorry my friends but I know you've all got more important things on your mind than fashion this month. In any event, I'm still living out of the suitcase I packed 3 weeks ago for a week at my Mother-in-Law's. A bit traumatic but actually it's lovely not having dressing dilemmas in the morning..I won't know what to do with myself when the wardrobes are finally fitted at the end of January. So my last post before Christmas is to share these cosy new items from Trespass - they've been keeping me super warm on the school run...and have been an absolute blessing as I can't find any of my coats, hats, scarves or gloves, since we moved! Although I'd heard of Trespass before, I had no idea that they stocked such a great range, including real down filled coats. The prices are competitive too - my boots, coat, hat, scarf & gloves all came in at less than £140. I've harped on about real down filled coats before. In terms of warmth, they are streets ahead of anything with a polyester fill. 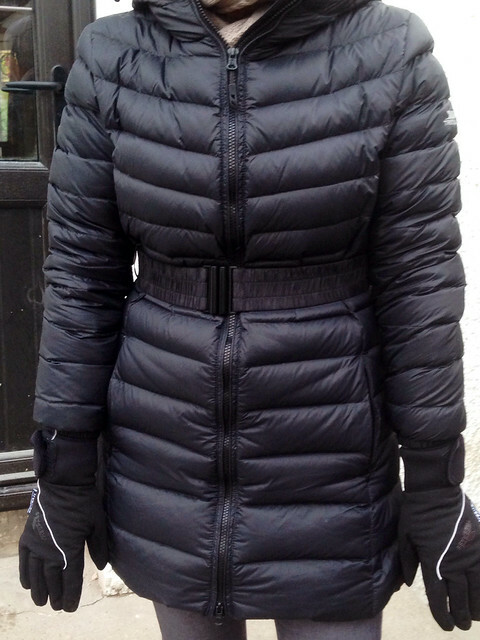 This Snowglobe down filled coat is also unbelievably light - I honestly didn't expect it to be as warm as it is. It compresses down into a tiny little drawstring bag, making it perfect for travelling and for storing over the summer. The price point of just over £70 is excellent for this quality of coat and as well as being super warm, it's showerproof too. Size-wise, I'm wearing a Medium. 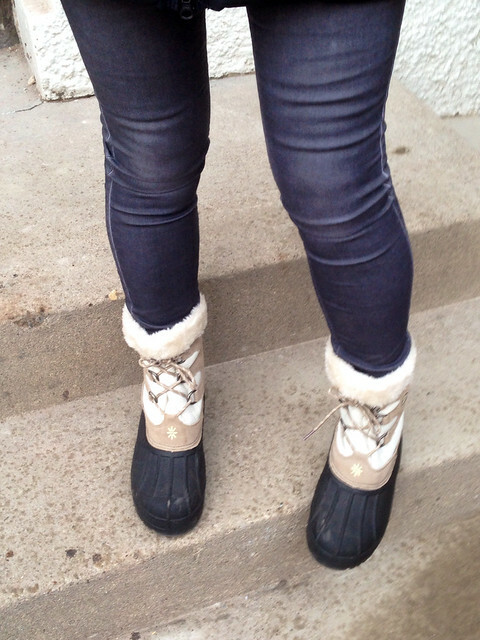 Now every busy mum should have a pair of snow boots in your wardrobe. They're ugly - no getting away from it - but they're incredibly practical and in the really wet and snowy days, will ensure that your good boots don't get ruined. These Trespass Floral Boots are a steal at just over £30. Easy to pull on and off and very cosy. I got a size 39 and I'd say they're snug so if you're between sizes, go up to allow for a thicker sock. To finish off my cosy outfit, I added a hat and scarf set (the hat has a fab fleece lining) and some amazing Crossover gloves. These are the first non-bulky gloves I've found that keep my hands properly warm and dry - highly recommended for any fellow Raynaud sufferers. 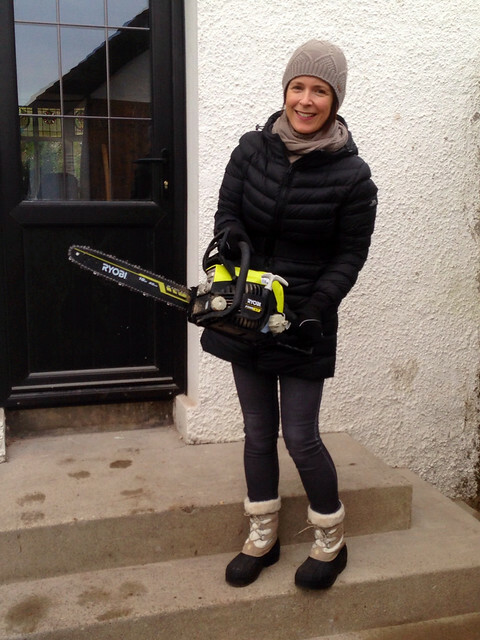 Huge thanks to the team at Trespass for keeping me warm on the school run for the past few weeks - I've tested the items well...including during a spell of chainsawing while clearing the back garden this week! Wishing all of you - my lovely readers - a very Merry Christmas with lots of quality family time and great memories. PS - Extra 10% off Boden sale on this link - use G4Y4 at the till! You're looking so well as ever! I got the Trespass Ladna down coat and I am loving it. Nice and long with a deep hood which keeps me cosy and dry! Happy Christmas to you & your family Avtil, enjoy the first of many in your new home. My friend has the same coat & has been raving about it for weeks - I might have to invest in one! Wow, I can't believe all that lot came in at such a low price! 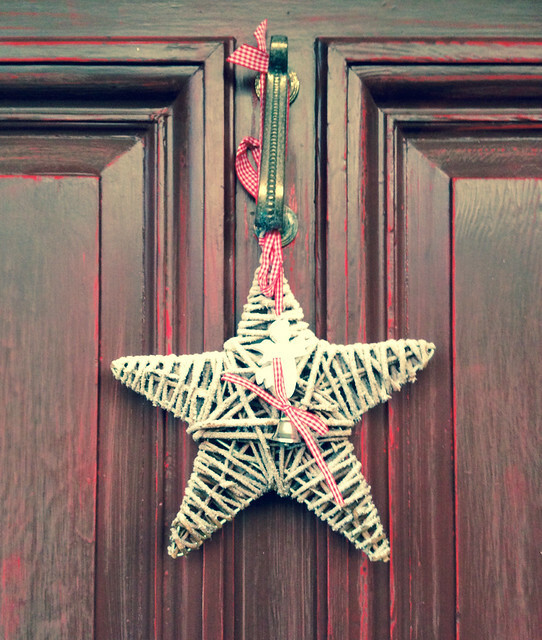 Loving the chainsaw accessory :-) Hope you have a fab Christmas in the new house.